Goodwood - Chris Harris - Just How Irritatingly Good Is The Porsche 991 GTS? Chris Harris ‑ Just How Irritatingly Good Is The Porsche 991 GTS? 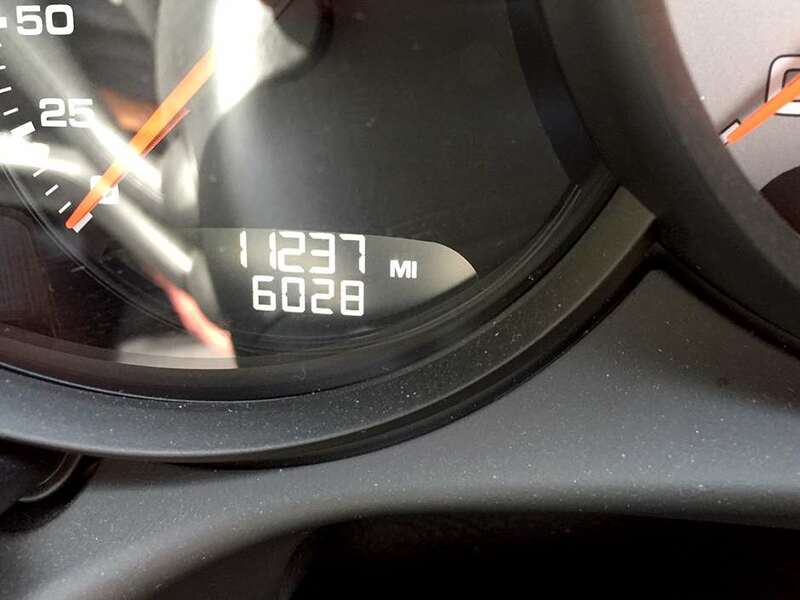 The measure of just how irritatingly good this Porsche is lies tucked away on the left clock face – the odometer is now reading 11,237 miles, over 6,000 which are mine in under two months. I cannot stop using this car. The one thing I always forget about living with 911s is the sheer practicality they offer. A year after the relationship has terminated you can always recall that searing intake noise, the speed, the steering and the magnificent traction – but you never think to yourself ‘that was a mighty practical machine for a sports car’ . How fickle the human brain is. But the practicality is the mortar of a human-911 bond. Put simply, because the car has so much usable space, and because its rear seats are more than good enough for little people, and many people who buy them appear to have these little people, then the opportunities to use the 911 are far more frequent than with any rival car. I cannot think of a single 911 journey nixed by lack of seats in the past month. By comparison I have used my old 512 TR just twice because I’ve always needed to carry a third body in the car when the opportunity arose. 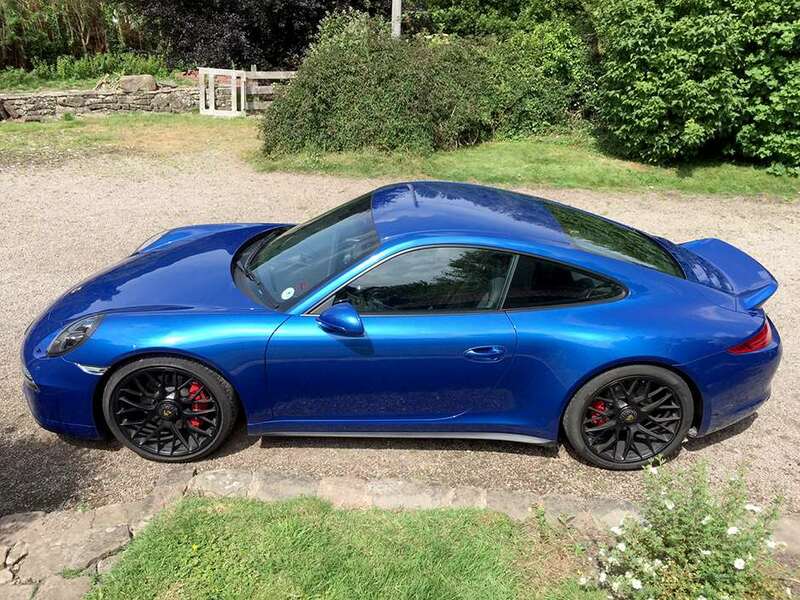 Of course this added time behind the wheel would be problematic if the machine struggled to deliver dynamically, but I can safely say it’s the most impressive road-going 911 in the current range, and I had no idea I would think that of it. 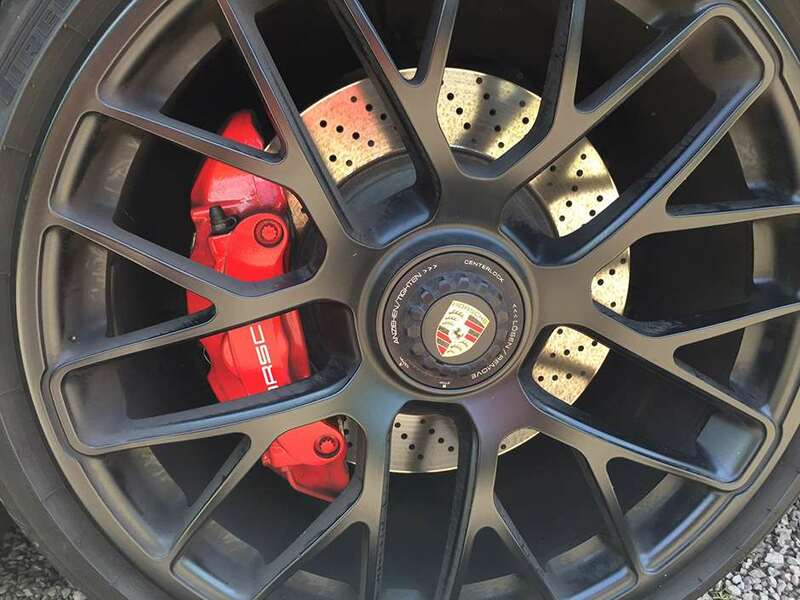 A Turbo S is faster, and a GT3 has a more exciting engine, but 430hp and a manual gearbox with a slightly tauter chassis than a C2S makes the GTS a perfect blend for those who want to enjoy those rare opportunities to go fast, but still maintain enough civility for everyday chores. And you can’t get rear seats in a GT3. The most surprising part of the package is the motor. It’s much more than a software upgrade, with new cams and intake, and the result is a genuinely exciting, revvy donk that loves working above 6000rpm, and the noise is one of the very best I’ve heard in a road-going 911. The chassis is absolutely spot-on for UK roads, but being a 911 its ride naturally sits at the outer edge of what you’d call comfortable. But the car is very agile for one so physically big and the combination of 10mm suspension drop over the C2S and the standard PASM suspension with geometry tweaks has released something from the steering. I don’t know how or why, but this is by some margin the sweetest electric rack I’ve used. It almost feels like a facelift 997 in that respect – almost. I find some of the ergonomics maddening. Hiding the USB port in the glovebox is silly. The electric handbrake is the most hateful invention of modern times, and this one is especially cumbersome. 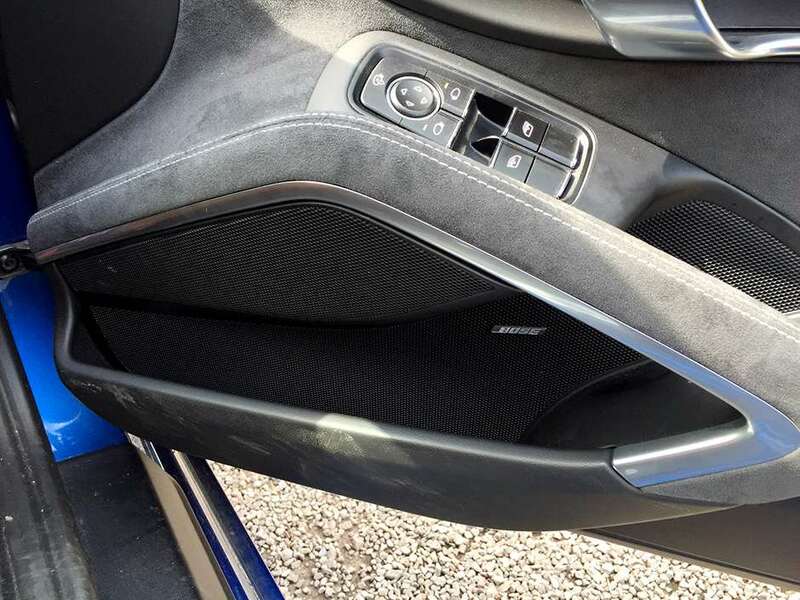 And as a man who used to marvel at the enormous door bins and hidey-holes in his 3.2 Carrera, what happened to these cheeky stowage places in the new car? Retrieving something from the drivers door bin requires first dislocating your shoulder. But the BOSE hi-fi (£802) is superb, the hands-free phone makes it ideal for the daily grind and I’m now wondering why I’ve never liked these duck-tail spoilers before now. Combined with the optional front splitter they cost £1223 and I think they straddle the line between ostentation and adding something to the base 911 shape very effectively. And then there’s the seven-speed manual, which is the essence of this car because it is for now the fastest, most exciting Porsche 911 you can buy with three pedals. I initially enjoyed the new shift quality and straightening of the general 5th,6th,7th relationship – which didn’t work on the first cars with this gearbox. But I still found myself instinctively putting the car in 7th, assuming it was the ‘new’ 6th and wondering why the motor would simply splutter when I wanted to ping past something. But like all these things, familiarity hasn’t just given me a fix, it’s flipped the situation into a positive. I now just assume I have a six-speed gearbox on normal driving. I don’t even think about 7th. If this sounds weird, then maybe it is. But the moment I need to trudge down a motorway, I have an overdrive that allows me to use that typically small 911 frontal area to hit mpg figures in the high 20s. Sometimes low 30s. That’s staggering for a car that can travel at 190mph. The switchable sports exhaust is standard – I’ve found myself using it on every journey to keep neighbours happy. And the brakes, standard steelies on this car, are good for pedal feel, but this car is over 1400kg and with ears pinned-back you can make the pedal go quite long, I think I might have had the ceramics if I had specced the car. But otherwise, it’s a very clever thing indeed. Dare I say it, for many people, a more enjoyable road car in the UK than a GT3. Oh, and has anyone else had problems with their electronic 991 handbrake? I recently arrived back at an airport and couldn’t locate the car. I gulped and assumed it had been stolen. Then I spotted an oddly parked blue 911 forty yards away. There was no damage, and I know I engaged the parking brake. I still can’t work it out. Chris Harris on the Audi RS3 – can a hatchback really be £50k good?